As Thanksgiving approaches, it's a great time to talk with your child about ways we show gratitude for the harvest season. Many families bring harvest gifts to Thanksgiving celebrations, and sometimes to neighbors as well. These community activities make your teacher proud: community and holidays are each party of the core social studies curriculum, right alongside science learning about the life cycle of plants and trees. So, invite your kindergartener to help out with this lovely gift bag clip, and combine all these topics. You'll get a beautiful craft piece in the process (it looks especially good on a bag filled with nuts or dried fruit). First, go out on a nature walk with your child to enjoy the beauty of fall leaves. Have fun selecting one or two leaves that you think are especially marvelous. 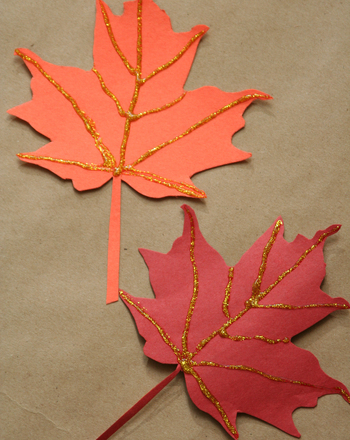 Bring your leaves home, and trace them onto harvest-colored construction paper. 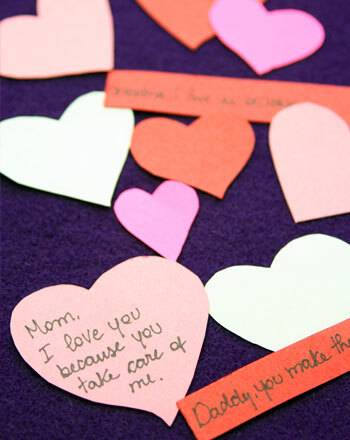 Help your child cut out the paper leaf along the marked outline (those scissor skills are always a year one staple). Look again at the original leaf, and help your child use the pencil to trace out the biggest “veins” in the leaf onto the paper leaf cut-out. Warning: this may be a tricky step for your kindergartener. Don't hesitate to help! 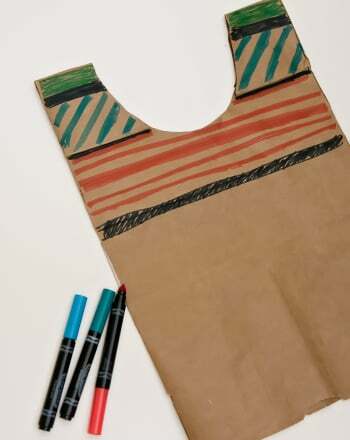 Use the squeeze bottle of glue to trace a thin line of glue over each vein line, and then help your kindergartener sprinkle glitter over the whole paper leaf. 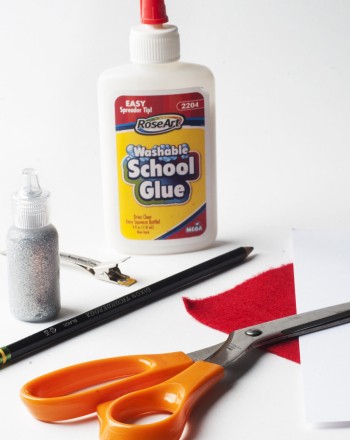 It will stick only on the glue—a project that usually feels like magic for your child. Give the leaf time to dry. When it's ready, use craft glue to attach it to the clothespin. Use it to clip a bag for a beautiful, tasteful gift. Where's the learning? Especially at this time of year, kindergarteners are getting ready to do a lot more writing. For some kids, it comes easily, but most often, it takes quite a bit of practise and development of the small hand muscles that need to work together. That's why kindergarteners are asked to practise using scissors and squeezing glue: all of it lays crucial foundations for the future. And in the meantime, with activities like this one, you get beautiful results, and a proud little kid - right now! Colour in these harvest foods, like the types of food the pilgrims would have eaten on their first Thanksgiving. 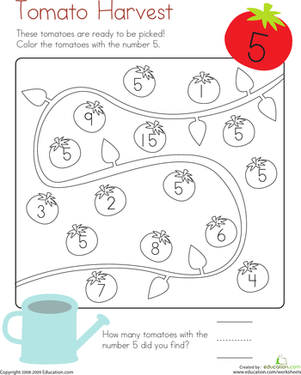 Your child can get motor skills practise with this cute Christmas gift coloring page that's full of shapes too.